I've been acquainted with your site for a few years now. This is my first time writing into you about a pioneer pilot. 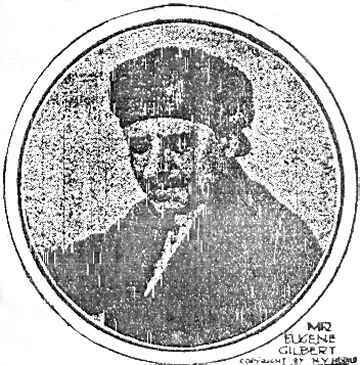 In this case Eugene Gilbert(1889-1918). Gilbert was in the 1911 Paris-to-Madrid race, (won by Jules Vedrines), held a little earlier that year. And was flying over the 'Pyrenees' Mountains(not the Swiss Alps) when attacked by that giant eagle. The book where the painting of him shooting at the bird was called THE PATHFINDERS by David Nevin c.1980 Time-Life Books The Epic of Flight. This wonderful painting is in the front leaves of the book on page 10. The inset photo with the painting has Gilbert in marvelous pose looking anxious to take off. Also a little tidbit of info accompanying the painting states that Gilbert won the Paris-to-Rome race of 1913. The Aerodrome But I know it's mostly the prewar career of the pilots that concerns this site. This is what I could find. Info on Gilbert is scant at best. Hope the site can use this information. Editor's Note: I thank Peter for this information which supplements nicely the story which I had orginally reported back in 2004. In fact, I do usually limit my coverage to those pilots who soloed before December, 1916, the limit set by the Early Birds of Aviation organization, but I am always interested in their post-1916 activities. Eugene Gilbert, 19 July 1889 (Riom France) to 17 May 1918 (Villa Coublay). He started his aviation career as a Mechanic, and subsequently earned his pilot's license (#160) on 24 September 1910. After military service, he began to set records in flying city-to-city during 1912 (including Clermont-Ferrand to Brioude and return, Paris to Lyon without landing (410 km), Paris to Vitoria without landing (810 km), Paris to Putnex in Pomerania (1200 km). He usually flew Deperdussins, and in this last flight he won the Pommery Cup. In 1914 he won the Michelin Cup with a flight of 3000 km in 39 hours and 35 minutes). 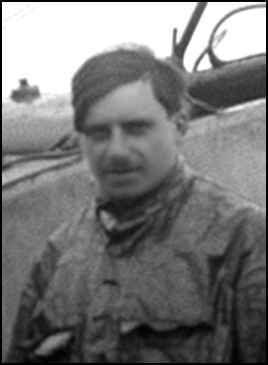 During the war, he flew a Morane-Saulnier, and became an ace, shooting down 5 enemy aircraft. Shot down, he was made a prisoner, escaped twice, and then became a test pilot. He was killed in an accident at Villacoublay on 16 May 1918. I visited recently your excellent website and find interesting elements about Eugene Gilbert; To complete your records you may be interested to know that he was a close friend of Roland Garros. 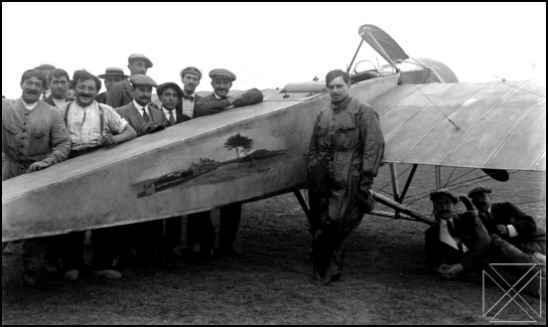 After the famous pilot was captured by the Germans in April 1915, he got permission to fly a Morane-Saulnier Type N, which was then only a racing plane. For propaganda purpose, as Garros's capture was bad news for French public opinion, Gilbert was equipped with a special machine-gun type N, nicknamed "Le vengeur", on which he scored some of his 5 confirmed victories before being shot down. As you mentionned after his escape return, he was appointed to a second-line job, as a test pilot. He was killed while testing the Morane-Saulnier Type AI, parasol monoplane in Villacoublay. This accident occurred in the middle of a controversy about the strength of the monoplane versus the biplane. Despite preliminary investigations didn't find any evidence of airframe weakness, following 'caution principle' the French Army Aviation headquarters decided to withdraw the type from first-line service to fighter training school for French and the American expeditionnary forces. As the type AI illustrated later as the favourite plane of many after-war stunt pilots, test pilot Alfred Fronval himself breaking a record with 1,111 loops in a single flight in 1928. Transcribed by Bob Davis - 7-14-03 "Non-Stop Record Holder," "Paris, July 13. - By his flight today from Paris to Berlin Letort becomes the non-stop record holder. the distance covered was about 590 miles which surpasses the flight made April 24 by Eugene Gilbert, who flew from Villacoublay to Vittoria, Spain, 513 miles, in eight and one half hours." MR. EUGENE GILBERT The international aviation meet at Rheims, France, is one of the biggest events in the aeroplane world, for nearly every nation has entered its crack pilots and machines. The United States representative cannot fly, as no machine could be secured for him. 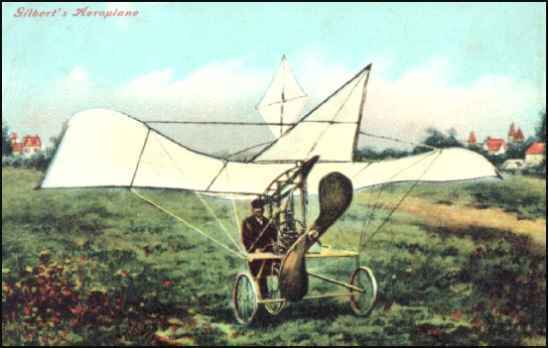 Mr. Eugene Gilbert's Deperdussin monoplane is one of the fastest machines in the contest and is capable of flying 119 miles an hour. 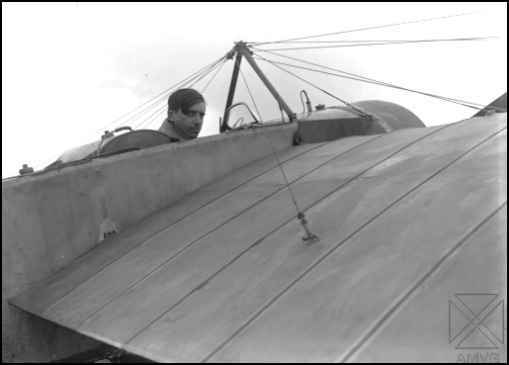 Mr. Rene Caudron in a Caudron aeroplane, won the cross-country race of 93 miles in the biplane class in 1 h. 35m. 31s. 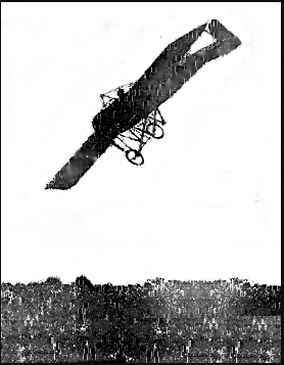 "27 October 1913, Eugene Gilbert flies a closed-circuit course in a Derperdussin monoplane at St-Germain-en-Laye, near Paris, at 95mph to win the Deutsch de la Meuthe cup." You will learn a few more features of his career if you follow some of the links.